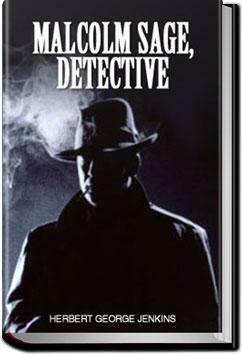 A collection of short stories that chronicles the first year of the Malcolm Sage Detective Bureau. . . .I should explain," proceeded Mr. Callice, "that some time ago we formed ourselves into a committee to patrol the neighbourhood at night in the hope of tracing the criminal. On the way up Sir John remembered hearing of you in connection with Department Z and, as he was not satisfied with his call at Scotland Yard, he decided to come on here and place the matter in your hands." "This is the twenty-ninth maiming?" Malcolm Sage remarked, as he proceeded to add a graveyard to the church. "Yes, the first occurred some two years ago." Then, as if suddenly realising what Malcolm Sage's question implied, he added: "You have interested yourself in the affair?" "Yes," was the reply. "Tell me what has been done." This grew on me as the detective's habits became familiar. It will annoy purists because the author withholds clues till the denouement, but I suspect he wrote these stories more for the character Sage and the technical explanations. I'm sorry there aren't more, though. Sage is quite an engaging character but the short stories in this volume are all very much of a type. To me they seem to be of the Sherlock Holmes type of observational detection with much use of magnifying glasses etc. H.Jenkins is known mainly as writer and publisher of humor. This book is light-hearted, but, in Detective Sage he has created a unique and interesting character. A minor detective in the history of early British mystery but worth getting to know.